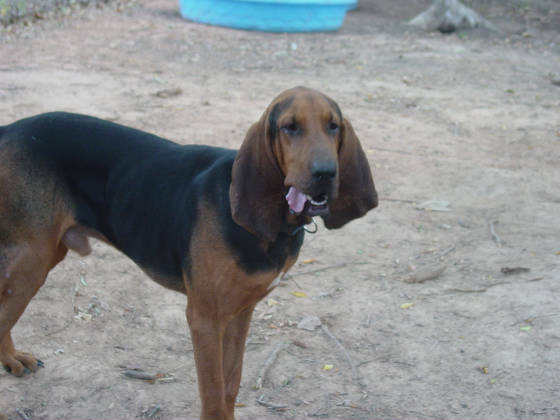 Each of our bloodhounds that are available for adoption are up to date on their shots, are spayed/neutered, are micro chipped and are on heartworm preventitives before placing. Please also know that there are strict rules in our adoption contract that must be followed, they are for the safety of these sweet animals. We do occasionally make home visits to make sure all is fine with your new family member! 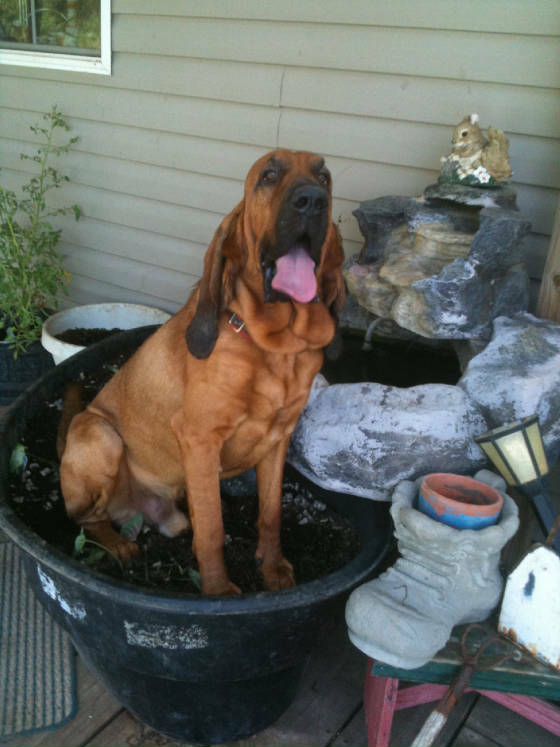 Remember, if you are not ready to adopt a bloodhound, you can always sponsor one. A monthly donation of $35 will provide a nutritous bag of food and a bag of treats! 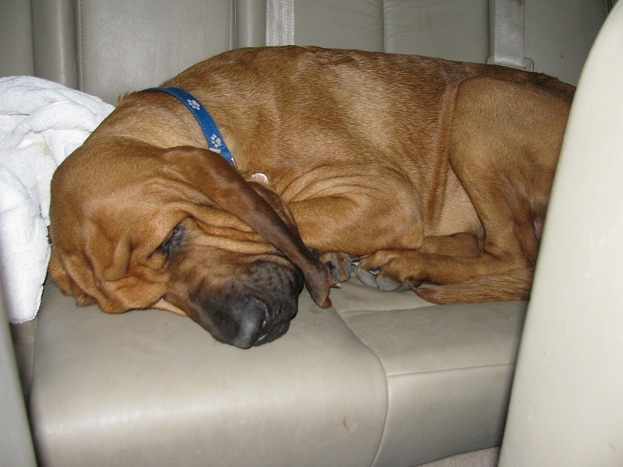 Before considering adoptiong or buying a bloodhound there are some serious things to take into consideration. Please research this breed, they are very misunderstood and that has quite a bit of why so many are in rescue today. They are NOT hunting dogs, they work off of Human DNA, this is why they are used for Search and Rescue SAR. They are known to be quite timid dogs and can be scared easily when raising one from a young pup. They need a very structured home and need to always know who is the packleader of this home or they will take over and you will not be happy about this. There is NEVER a need to hit a bloodhound, just by being firm and raising your voice you can correct whatever they are doing wrong. Hitting or popping a newspaper will only scare a bloodhound and then they will fear you not respect you. This can also cause them to lose their spirit, and once this is broken you will have a shell of a dog instead of one that you can love and enjoy. 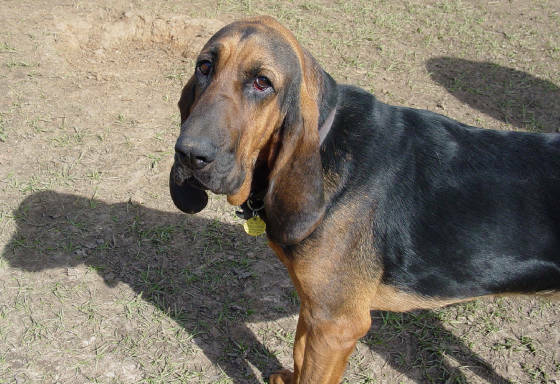 Bloodhounds are not for all families, so please research this breed and talk to people that truly know them before taking one home. 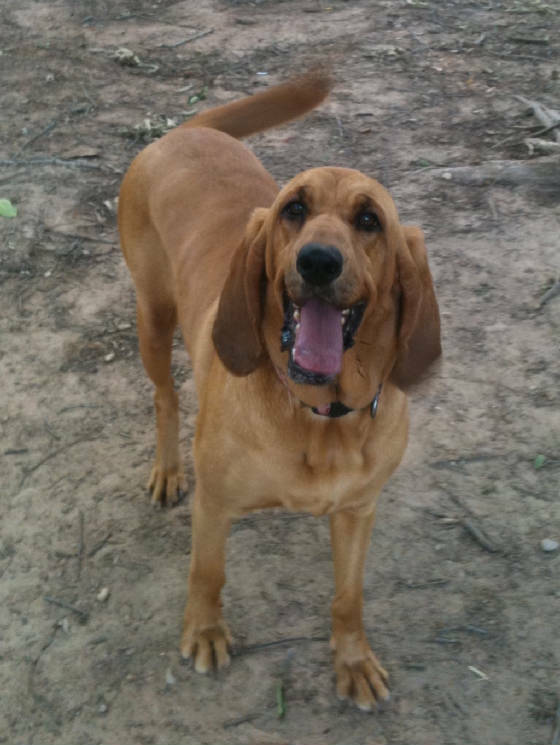 Bloodhounds Looking for Their For-ever Home! Meet Chief! ADOPTED!!! Yeahhh Chief! Hi I'm Chief, very nice to meet you! I am an owner surrender, my dad is in the military and was being deployed so he sent me here to Miss Karen's to make sure I was well cared for. He wasn't sure when he would be coming back so he is making sure I will get a new loving family. I am 1 1/2 years old, very healthy and a very smart guy! I am good with other pets and love to play, run around and be silly! As you can see, I am sitting in what use to be Miss Karen's planter,,, she wasn't very happy with me for that picture! I am a very good boy! I would be fine with children and other pets that you may have. I am house & crate trained. Could you be the new family that I am looking for? Please contact Miss Karen for an application! I Love Kissing My Daddy! Watching tv is Great Too! This gorgeous young man is 2 years old and is wanting a very special new home. He is the sweetest dog in the world and adores everyone! He loves to play with other dogs and is very gentle with them. He would be wonderful with children also! He is just a happy guy that just enjoys every day to the fullest. 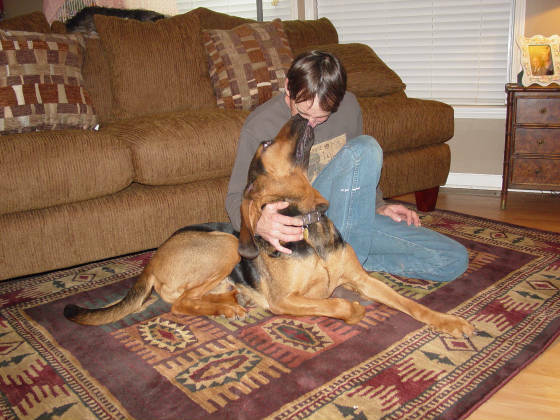 Boudreaux is an easy dog to care for. He is great indoors and is house trained. His last owners lost their jobs and could not care for him anymore so he moved here with us until we can find that Wonderful new family that will appreciate this wonderful guy! For more info and to see if you qualify to take Boudreaux home, please conact us today for an application. My adoption fee is $250. 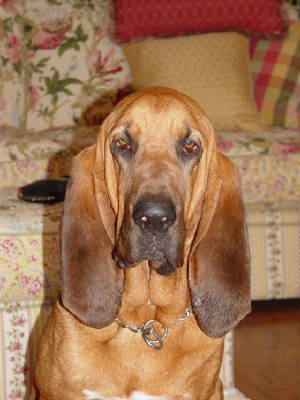 New Bloodhounds come in very often! Check back soon! Meet Bayou! ADOPTED!!! Way to go sweet boy! Meet Bayou! I am about 1 - 1 1/2 yrs old and a very Sweet Boy. 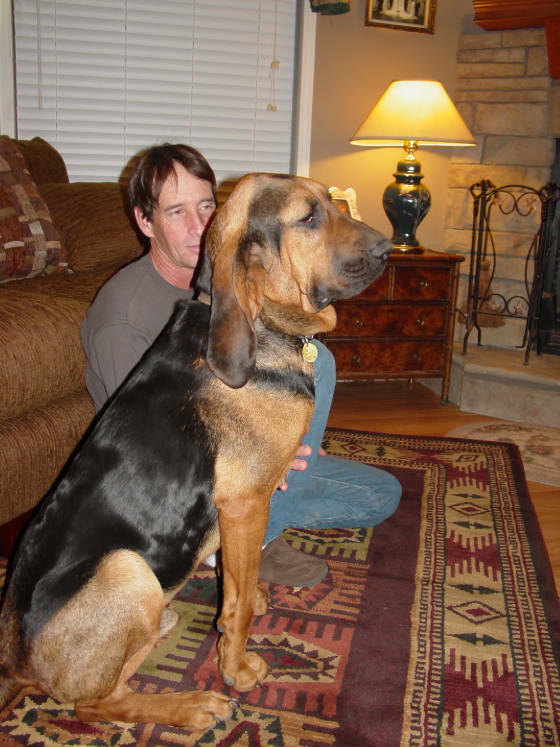 My foster mom says I am one of the sweetest bloodhounds that she has ever met! I love to be inside with my people or playing in the yard! I am house trained and have very good manners but remember, I am still very young and need to be well supervised. I am good with other animals and I love kids! Please come and visit me, I know we'll fall in love! I won't last long here so send in your appliaction! Meet Liza Jane! ADOPTED!!!! You Go Sweet Girl!!! Hi, I'm Liza Jane, a sweet young red female about 2 1/2 yr. old. I am a very sweet little girl looking for my for-ever home. I am a happy girl just a little shy at 1st but I fall in love very quickly to those that are good to me. I'm ready are you? I love treats and playing outside but most of all I am a "hog" for attention. I would love to be someone's "Best Pal" are you the one that I am looking for? Please e-mail Miss Karen for an application and let's see if you are the family for me! 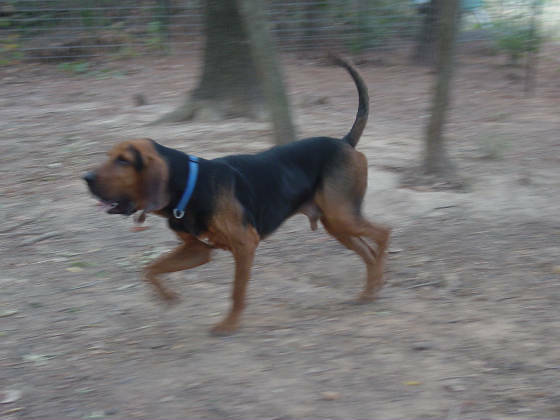 To see many more of our available bloodhounds go to Petfinder.com ,,, put in Dog, then Bloodhound, then zipcode 71023 and see all of our pictures & video's!